How does the fit of your suit measure up? Over the years, the shape of the average male has evolved. Yet thus far, retailers have failed to adapt to the 21st century male, forcing bigger men to shop with limited options, as retailers ignore calls to cater for this ever growing market. When the off the rack collections are based on an ‘Average population’ which as we know, no longer exists, the demand for big men’s clothes escalates. Men’s style blogs and magazines religiously uphold the mantra of clothing fitted to the ‘individual’. But not all men are built the same. Ron Bennett, originally established in 1888, have understood this for decades opening a division dedicated to big & tall men over 30 years ago catering for larger men from 2XL to 7XL and above. If you want the last word in a perfect fit however, you will need to consider a made to measure or bespoke solution. What’s the difference between the two? Made to measure is where the tailor will start with a template or ‘master garment’ and make multiple plus or minus adjustments to get the right fit for every individual. Whereas a bespoke tailor will take measurements directly off the client’s body and start from a complete blank canvas. While a regular tailor might take limited measurements and have you on your way, a bespoke tailor will take over 30 measurements for a suit and shirt combination, to ensure a uniquely personal fit can be achieved. When fitting master garments, tailoring starts at the shoulder, every imperfection of the body is revised and taken into account. A bespoke tailor will understand that while two clients may both have 40” chest 36” waist 42” hips, the patterns could be completely different due to figuration and balance. They will also take a client’s lifestyle factors into account from fabric selection to body shape limitations and diversity. Consideration of a clients posture/shoulder stance/back curvature and alignment are also critical in achieving the right result. 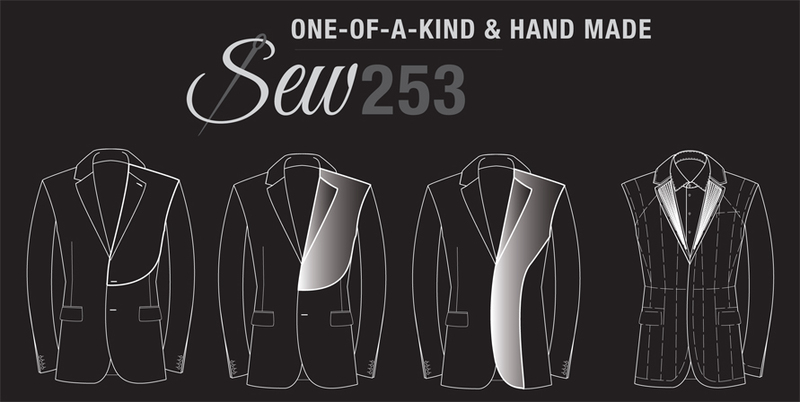 Continuing its lineage of providing the pinnacle of perfectly fitting menswear – regardless of your shape or size – Ron Bennett has recently launched its own made to measure division: ‘Sew253‘. The services available range from bespoke suit tailoring to entire personalised wardrobes. Email: jessica@sew253.com.au or call 0401 522381. And remember: choosing the right tailor can make the difference between a pricey unwearable mistake and a custom wardrobe that will fill the wearer with confidence.